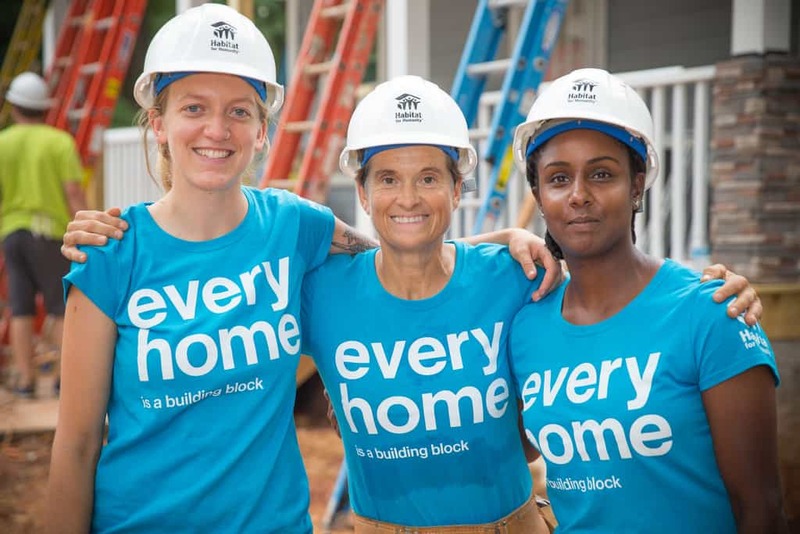 Habitat Chesapeake’s Women Build volunteers come together from all walks of life to build stronger, safer communities. Women and children make up the majority of people populating Habitat neighborhoods, as they are the most likely to be affected by poor living conditions. Women Build Week provides the opportunity for women to take a proactive step in serving their community right here in Central Maryland. 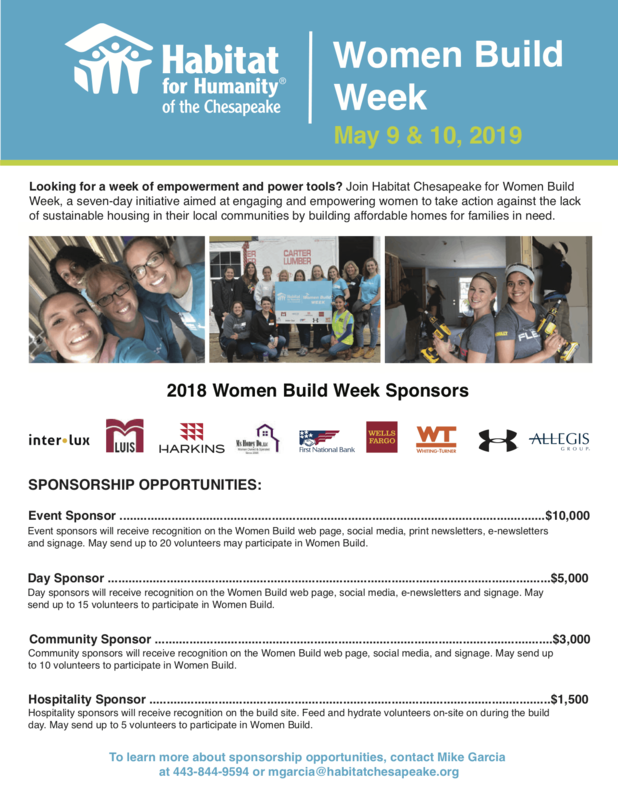 Become a Women Build Sponsor! Habitat Chesapeake’s Women Build have included women (and men) of all ages from their teens to well into their retirement years. Volunteers will work alongside our experienced construction crew and no previous construction experience is required! The atmosphere is collaborative and friendly! Lunch is included. Please contact Mr. Michael Garcia, Director of Donor Relations at [email protected] or by phone at 443.844.9594.